Establishing the independent watchmaker's creations as modern grails. In the second surprise of Phillips’ inaugural New York watch auction – after the US$17.52m Paul Newman Daytona – the Philippe Dufour Duality sold for US$915,000, all fees included. While the massive result for the Rolex was the big news of the night, the near-US$1m price tag for the Dufour is big news for fans of independent and technical watchmaking. In platinum and numbered “00”, the Duality was expected to sell for well over its high estimate, but outperformed. 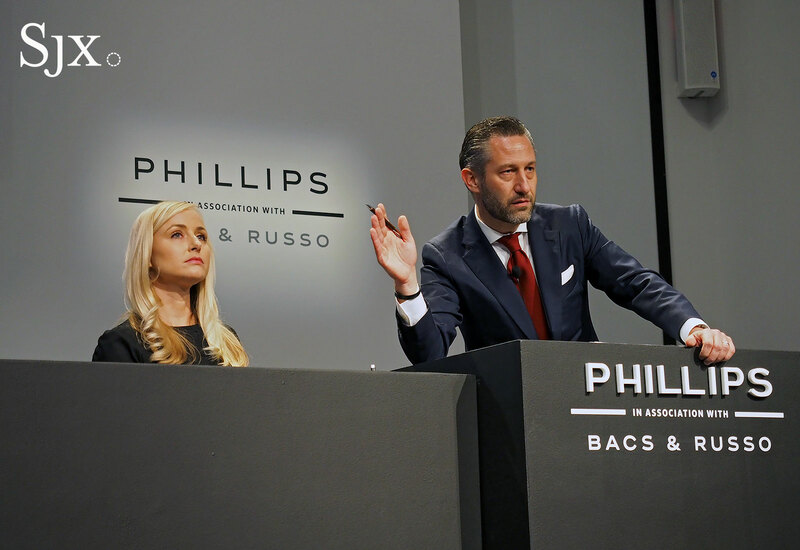 With an estimate of US$200,000 to US$400,000, auctioneer Aurel Bacs opened the bidding at the low estimate. 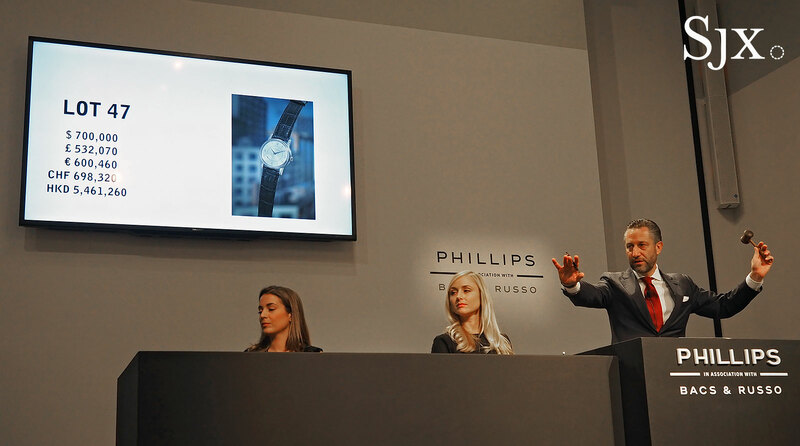 In a repeat of her performance with Paul Newman’s Rolex, Tiffany To of Phillips Geneva immediately leapt in with a US$600,000 bid. As it was with the Rolex, the sharp increment swiftly eliminated all the hangers-on, leaving just To, as well as her colleagues Myriam Christinaz and Jill Chen, all representing phone bidders. Christinaz’s client dropped out after a brief spell, with Chen’s and To’s respective buyers the last ones standing. To’s client was persistent and aggressive in his increments, going one up on Chen’s client who stopped at US$700,000. To’s buyer sealed the deal at US$750,000, which is US$915,000 including all fees. 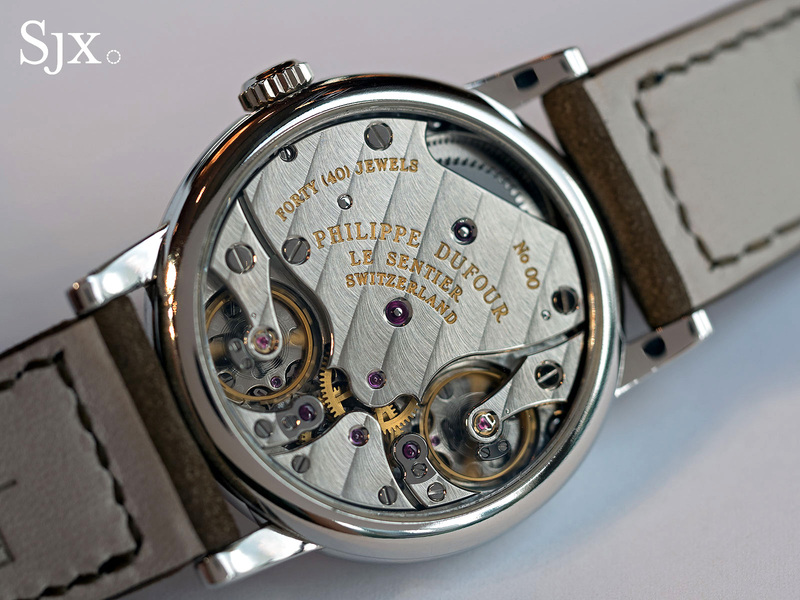 With Philippe Dufour’s Simplicity having sold several times at auction for US$250,000 or so, the result for the Duality confirms his status as a living legend whose technical prowess is esteemed not just intellectually, but financially as well – a rare feat for an independent watchmaker. Updated October 27, 2017: Added comment from the buyer and seller of the Duality. Additionally, the original purchase price was US$150,000, not US$180,000 as originally stated. The first double regulator Dufour is resurfacing after a decade.